Trends are something we see each year, especially in the world of Jewellery. The beauty of jewellery design, is the ability to tailor and create something unique and individual based on ideas and trends around the world, as well as for personal taste. So, what jewellery trends have we seen around the world in 2016? This year, oversized necklaces and funky earrings are trending in Asian jewellery. The trend is to never let your imagination run too demure. And that’s not just speaking for females. The Japanese material ‘mokume-gane’ is used to create individual and unique wedding bands, commonly for men. Whether traditional Asian pieces, or modern innovations, the aim of Asian jewellery is to capture the imagination and explore stones, designs and colours. African Jewellery makers are the pioneers of innovative inspiration. Their passion for gold, beads and bangles have and continue to be unique and interesting. Handmade beads hold their beauty in their history, as they were once used for currency – and while that may no longer be the case, the beauty and innovation has not been lost. It is still represented today in much the same way in the cleaning of the environment; artistic growth; and in creating something original and beautiful from very little. American jewellery trends are similar to those in Australia. Religious symbols, gold, chains and fringed jewellery are top of the game. Large statement pieces made of crystal have hit the runways all over the US – taking the form of necklaces and large statement rings. Religious symbols are becoming less and less tied to their immediate associations, leaving them to creep into the fashion world. Gold has become a structured, statement piece of jewellery. Versatile and bold, it can jazz up any outfit, adding that extra elegance. 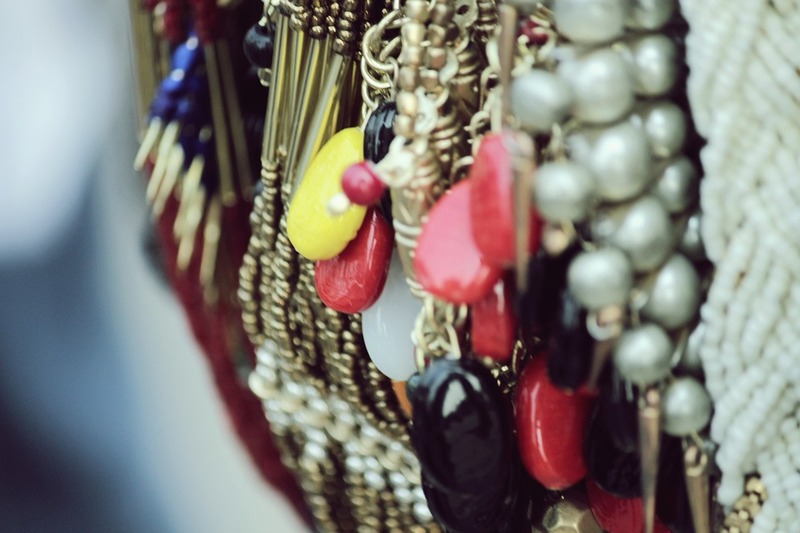 Chains are back in all colours and sizes – whether it be a necklace, bracelet, choker, chain earring or hand accessory. Much the same is fringed jewellery, like chains they are versatile and glamorous. European Jewellery trends are not all that different from America. They are all about statement pieces, but this time making a comeback in a simpler form – bright, bold gold pieces to geometric designs. With a contemporary style, simple, gold tennis bracelets are back: sometimes simple and plain, or embellished with diamonds. This along with sparkling charm bracelets with the best gems and stones, and unique dangling earrings are what makes the European Jewellery trends. Koro Fine Australian Jewelry can help you create custom-made, individual pieces to follow your favourite trends around the world. From the beautiful moukme-gane wedding bands of Japan, original, ethical gold and gems of Africa, the incredible colours of gems and stones inspired by American runway trends, to the simple and elegant, gold tennis bracelets of Europe. Koro Fine Australian Jewelry can help you create and follow your favourite trends from all around the world, this year.